Great news! 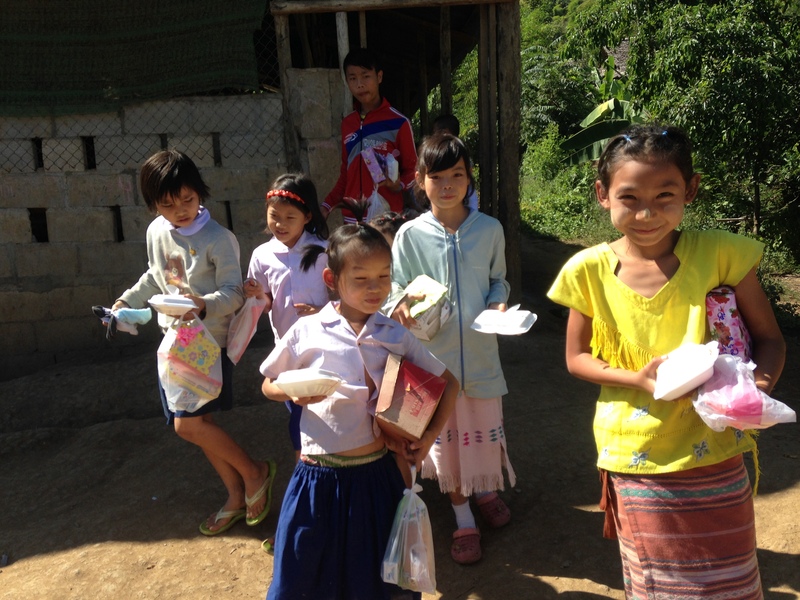 2015’s Christmas Appeal saw 2,724 people associated with our preschool network joyfully celebrate Christmas in Mae-la camp in December 2015. This is over 200 more than last year. 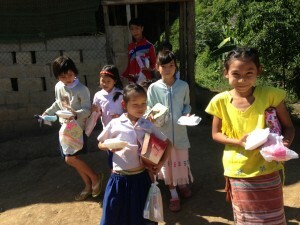 Of the 2,034 were preschoolers from the camp’s 23 preschools. 269 were children older than preschool age. The balance (421) were teachers and other adults who help out in the schools, preschools and the childcare facility. Every one received a present, some treats, (fruit enriched soy milk, a few lollies, and a small packet of chips). The Christmas dinner was served. In most cases this was curried chicken and rice, which to Karen kids is as good as Turkey with all the trimmings! The teachers and ancillary staff had their own party on December 18. This was our way of saying thank you to them as they do so much for the children. Each group of teachers had to bring an item to perform, and after the celebration opened it was time for jokes and dancing, skits and laughter followed by Christmas dinner. Four and a half hours later the teachers went home! 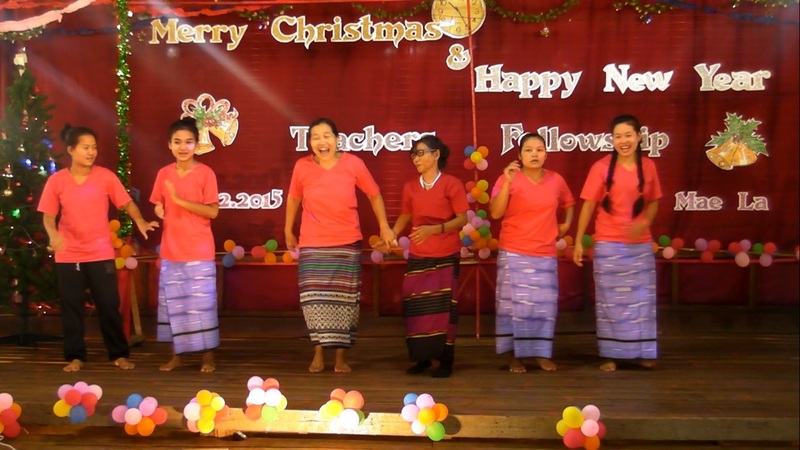 The Middle School had their Christmas celebration in conjunction with their awards ceremony on December 11, and orphanage / childcare facility had their celebration on December 19. 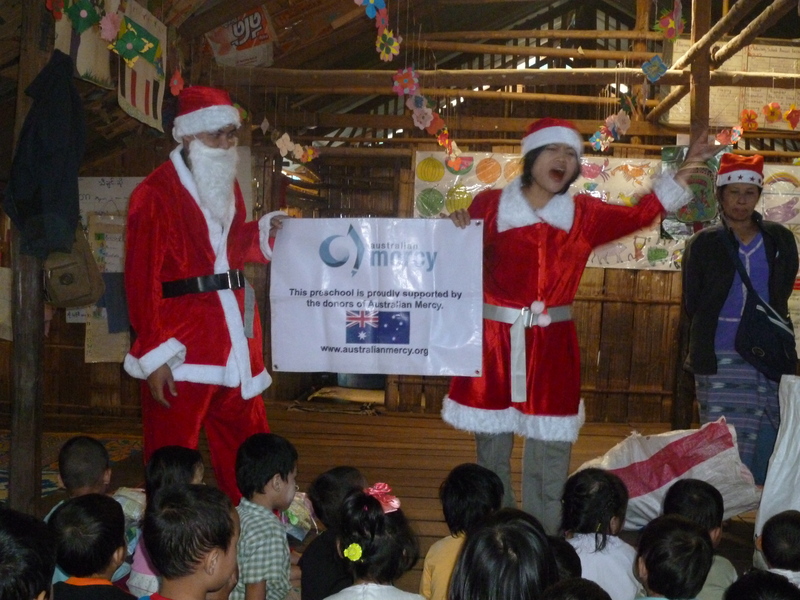 Australia Mercy would like to thank all who made it possible for Christmas to come to every preschool in the camp and to from there to overflow in the lives of other families living in Mae-la. This is another example of how Australian Mercy’s donors are bringing enormous joy in the lives of people who have little and are suffering under harsh conditions. We are hopeful that 2016 will be a bigger event encompassing the lives of many children living at Mae-la refugee camp.